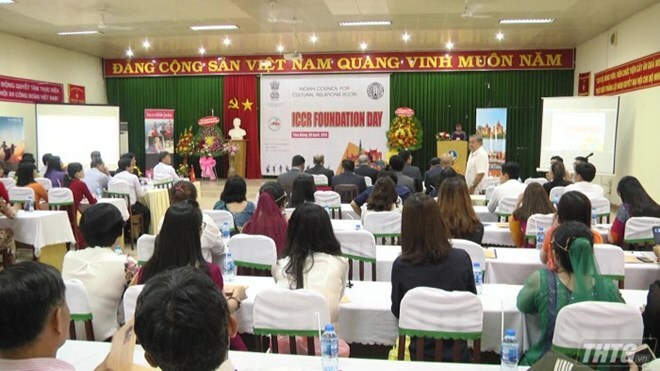 Tien Giang (VNA) – The foundation day of the Indian Council for Cultural Relations (ICCR) was celebrated at a ceremony in the Mekong Delta province of Tien Giang on April 9. The event was organised by the Southern Fruit Research Institute (SOFRI) under the Vietnam Academy of Agricultural Sciences and the Consulate General of India in Ho Chi Minh City. SOFRI Director Nguyen Van Hoa said the ICCR is an independent organisation founded on April 9, 1950, by the first Education Minister of India – Maulana Abul Kalam Azad. It aims to help with the building and implementation of policies and programmes relevant to India’s external cultural relations, and with the enhancement of India’s cultural exchange and cooperation with other countries, he said. Since its inception, the ICCR has assisted Vietnam in high-quality postgraduate training, he said, noting that through this organisation, leading educational establishments of India has supported Vietnam to train masters and doctors of many sectors, including management and development of small- and medium-sized enterprises, rural development, information technology, network management, computer science, electronics, and culture-arts. The ICCR grants more than 20 scholarships to Vietnamese applicants each year. Between 1986 and 2018, it assisted the SOFRI in training 47 masters and nine doctors, helping the institute improve its staff’s quality. This is an important factor contributing to the SOFRI’s achievements in creating new vegetable, flower and fruit tree varieties, and developing technical advances and biological products serving organic production, Hoa said.